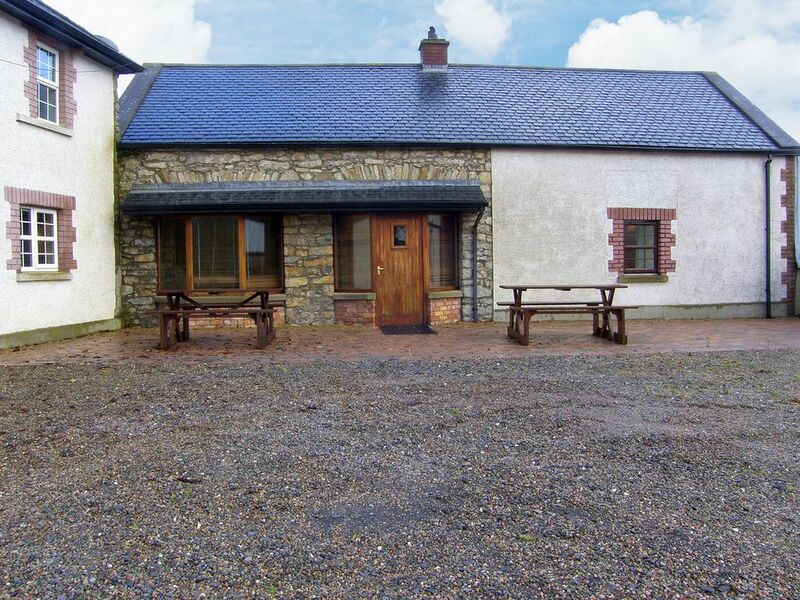 Situated 2.5 miles from bustling Ballyshannon and 9 miles from Bundoran seaside resort this renovated coach house is set within a private 180 acre Georgian estate. It is over 300 years old and has been restored to provide tasteful holiday accommodation with the added bonus of free broadband internet access. For larger groups why not book the barn conversions 15061 (sleeps 6) and 15083 (sleeps 6). Nearby is the Blue Flag beach of Rossnowlagh and all the attractions of Bundoran.Pub. Restaurant 2.5 miles. Beach 3 miles. GF: lounge, kitchen, dining room, double with single with ensuite shower room. FF: 2 doubles, single, shower room.Electricity and oil central heating included, linen and towels included, oil-fired stove, cot, high chair, stair gate, TV, dvd player, CD, fridge with small ice box, microwave, dishwasher, w/machine, internet access, partially enclosed shared garden, shared courtyard, garden furniture, bbq, swings and slide, private off road parking. Pets welcome.